Nike alums Keith Crawford and David Odusanya have launched CO-Lab. ( https://weareco-lab.com), a creative agency focused on design strategy for companies, from brand and product development to the consumer experience. Both Crawford and Odusanya held executive creative director roles within Nike and were with the company for a combined 37 years, departing in July 2017. At CO-Lab., the co-partners will work with brands to elevate the power of good design as a business strategy that helps companies innovate and succeed. 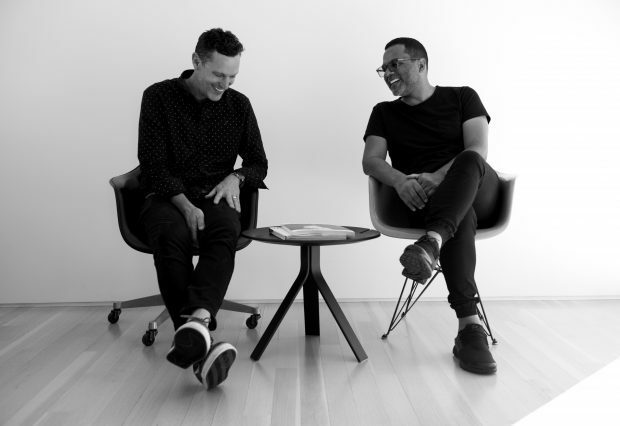 The creative agency’s name is both a play on the first initials of the co-founders’ names, plus nods to the vital collaboration between both Crawford and Odusanya, and the agency and their clients. Crawford worked for Nike for 17 years, holding executive creative director and senior design positions in Jordan, Basketball, Women’s and Team Sports. As Vice President Design/Creative Director for the Jordan Brand, Crawford led a team of more than 50 designers from product innovation through consumer experience, driving creative direction and defining iconic design strategies that set the tone for all product, athlete and brand initiatives. Prior to Nike, Crawford spent three years as Design Director at Anomaly London, where he led campaigns and branding projects for clients like Converse, Sony, Skype and Diesel. Odusanya worked for Nike for 20 years, holding several executive creative director roles, including Vice President Design Global Football. He worked closely with creative and business partners to author the vision for Nike Global Football, and he was instrumental in the recent success of the company’s World Cup efforts. Prior to Global Football, Odusanya was Nike’s vice president Global Brand Design, leading award-winning global and regional creative teams in developing brand and seasonal concepts. Before joining Nike, he worked as a senior designer with Reebok, and with several London and East Coast agencies.